A calm word of encouragement or a piece of inspiring advice is often all that&apos;s needed to help a student see the future more clearly. The Alumni Volunteer program is a flexible way for you to give the advice and support that&apos;ll make a world of difference to a student, one conversation at a time. Alumni Volunteer is a new mentoring program providing you with the opportunity to connect with current SIIT students for one-off career conversations. Connect from anywhere in the world, any time of the day, and meet with students in a format and time frame that suits you. How does it work for alumni? The Alumni Volunteer program is a pilot program that you can sign up to at any time of the year. Once you submit your application we verify your details against our database to ensure you are alumni of SIIT. This can take up to 3 business days. When your application is accepted, we will contact you for your profile and set your preferences to indicate within which time frames you would like to schedule your 30-minute meetings and the maximum number of meetings you can commit to per month. Students in Alumni Volunteer can reach out to request a chat (called a &apos;meeting&apos;). This may be over the phone, video call or even face to face. It&apos;s up to you and the student to decide what will work best for your conversation. If you get a meeting request we hope you&apos;ll accept it, but you do have the option to decline a student if you simply don&apos;t have time or think they’re the wrong fit. Be realistic with your time when setting your preferences. This will help SIIT to plan the events and meetings at a time which is convenient for you. When working as an event volunteer, we will contact you with all the details of the event and preparation and agenda of the meeting, so that you will be informed before the activities start. When working as a mentor, be aware that students in this program may be from any academic discipline, any stage of their educational journey and any background, and because of this they may be interested in chatting to you for many different reasons. Keep an open mind, try to understand your mentee&apos;s motivations and share your experiences in a positive and encouraging way. Make sure you read and understand the SIIT Alumni Privacy Policies. Who can access your profile information? The program coordinator will be able to access all your contact and profile information once you have submitted your application. Once the program coordinator has a scheduled event, or receives a request from one of our students, we will compare this with your personal profile and preference, and then contact you directly for further information, and to make arrangements. 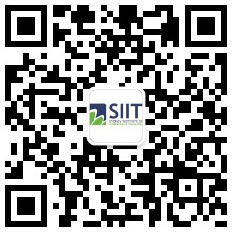 SIIT won&apos;t disclose any of your personal information without prior written approval from our volunteers.